Throughout the world, millions of girls are being deprived of a fundamental right – the right to education. This all-important right set forth in the Universal Declaration of Human Rights of 1984 has been reinforced, recognized as a global priority, and incorporated into developmental agendas over the past decades. Developed nations have made tremendous progressive commitments towards achieving high rates in girl child education. However, the reality in most developing nations, including Nigeria, seems to be far-fetched. Statistics show that more than half of the 10.5 million out-of-school children in Nigeria are girls – the highest in the world, meaning that for every 5 out-of-school children, 3 are girls. Many girls who are enrolled in school at an early stage, drop out on short notice even before completing primary school. Despite the alarming level of neglect in educating the girl child, only a few initiatives such as the UNICEF’s G4G initiative have provided support for the girl child in Nigeria. Although, marginal progress has been made in enrollment rates – perhaps not so much of a feat to be celebrated- constraints such as social exclusion, cost, distance, poverty, gender inequality, traditional influences and early marriage, parental literacy continue to sideline many girls from getting an education. In Northern Nigeria, gender norms and stereotypes which define girls primarily by their function as wives and mothers often exclude them from decision-making processes and community involvements. They therefore reach adult age without control over many areas of their lives. In reaching the SDG 4, it is pertinent to consider all possible ways to achieve this important goal; girl-child education is such a crucial part of the ways to achieve the goal. Evidence has been mounting on the pivotal role that educating a girl plays in improving economic and social outcomes, for herself, the family and the society. The yields from investing in girls’ education are substantial. This piece seeks to explore the potential economic and social losses resulting from the girl child education. What Economic Rewards will be lost by not educating the girl child? Failure to provide sustainable access to education for girls have a strong causal impact on individual earnings, labor productivity and economic growth. A World Bank report reveals that a country’s growth increases by 0.3 percent when the share of girls completing secondary school are increased by just 1 percent. Even more significantly, increasing the number of girls with strong literacy skills (a measure of quality education) boosts economic growth by a significant 2 percent. Thus, access to and successful completion of at least secondary education for girls contribute significant to the acquisition of skills necessary for the labor force, influencing prospects for sustained growth. This is particularly important for Nigeria whose growth rate has shrunk in recent years, and needs all possible ways to boost it. Considering that women are often down the pyramid in the informal sector, more access and years of schooling can take them up the pyramid and increase their expected level of earnings. Existing research shows that better-educated women earn more, have better jobs and invest their earnings into their families. In fact, every additional year a girl spends in school increases her future wages by up to 10 percent. The gap in gender education attainment has cost the Nigerian economy $538 in Purchasing power parity per working-age female, translating to a total of $17 billion foregone earnings. As a tool for poverty alleviation, girls’ education triggers better productivity, reduced illiteracy rate and ultimately reduced poverty rate. Are there Social Costs of Not Investing in Girls’ Education? Education serves as a strong and important indicator of whether a girl will marry as a child. The UNICEF reports that in Nigeria, 44 percent of girls are married off before they turn 18 – violating the age limit for marriage set in the Child Rights Act of 2003. Also, the Nigerian government has projected to reduce child marriage by 40 percent by 2020 and totally eliminate the practice by 2030, yet, just a few years to the deadlines, this National strategy is being threatened by poor educational attainment for girls. Progress report on the strategy suggests that Child marriage declined only 9 percent in 14 years (2003-2017). More so, girls without education are up to six times more likely to be married off as children than girls who stay in school up to secondary level. Thus, educating girls and investing in girls’ education are critical strategies for the prevention of child marriage, without which the strategy may not be achievable and may worsen in the coming decades, given the potential surge in population. Furthermore, higher levels of education for girls have been associated with reduction in early births, smaller families and healthier households. If all girls had at least a secondary school education, early births will reduce by a significant 59 percent. On one hand, this presents smaller number of children and families to cater for. On the other hand, educated girls who become mothers are better informed to ensure their children benefit from adequate education, immunization and nutrition. A UNESCO report suggest that in low-income countries, if all girls are educated up to primary level, the number of children who experience stunting would reduce by 1.7 million. For completing secondary school, the number rises to 12.2 million; and commits to achieving the SDG 2 on improved nutrition. On the demand for gender equality and fairness, educating girls equip them with the needed knowledge to lend their voices in political and gender-based issues. Educated women are more likely to involve themselves in political processes, contribute to effective governance in the society and voice out on issues around sexual harassment, gender discrimination and domestic violence. 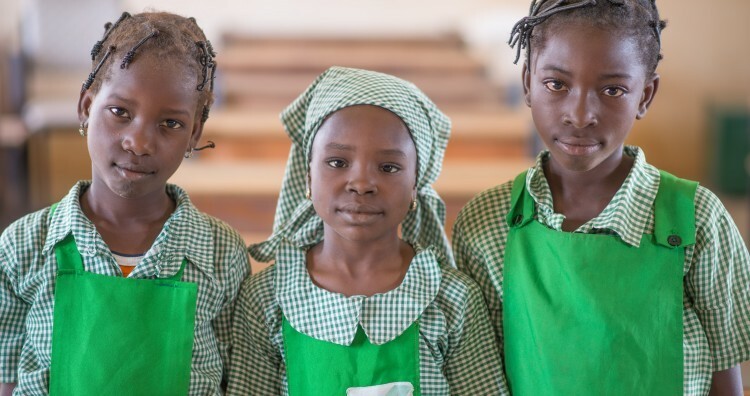 Nigeria must pay more attention to girl-child education as it may well be the highest-return investment available in the developing world as well as a lifeline to record high percentage of success in developmental processes. The pay-offs for the girl child, her family, her community and the society at large are too enormous to be neglected. All hands must be on deck to ensure that every Nigerian girl not only has access to education but is supported to remain in school.